Behind all great school fundraising ideas there has often been a lot of hard work and effort. Take a look at this web-site. Many of the fundraising ideas were submitted by people just like you. Along with all the little golden nuggets of advice that can turn a tried and tested fundraiser into a real winner. 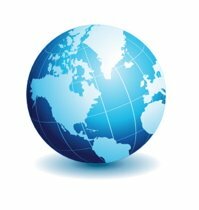 This web-site is used by school fundraisers on every continent. We love the idea that a top tip from Europe might end up being used by a school in South America and visa versa. Please help make this site even better. Share your great fundraising idea with schools around the world. Please tell us as much information about your school fundraiser as possible. Its often the little details that can help turn a simple idea into a real winner. If you have any special instructions or tips please include them too. Think about the person who has just joined their school's Parent Teacher Group or fundraising committee. Possibly a total newbie - all enthusiastic and really wanting to discover something good; but at the same time all nervous and inexperienced. What would you say to them? What would you tell them about your favourite fundraiser? We don't just like new ideas we love to hear your take on all the old favourites as well. How did they work for you? How did you make them a bit special? Do you have any photos? Please include them. Photos can bring your story to life and visitors to this site love looking at them and seeing what other schools have been getting up to. 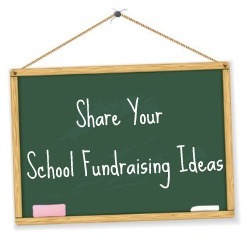 Tell us your great school fundraising idea here. Try to include as many details as possible. Give as many details as possible and don't forget to include all the extra little tips that turn a good idea into a great one.